Comprehensive modules covering all aspects of Java Programming Enterprise Edition: Creating Java Applications, Using Classes and Objects, Control Statements, Methods, Arrays, Inheritance, Polymorphism, Exception Handling, Database and JDBC, Applets, Multimedia, CSS, Servlets, Java Server Pages, Java Server Faces, AJAX Enabled Java Server Faces, XML and RSS, Java RSS Utilities, and many more. Interactive course expert support, advice and guidance from leading industry professionals. Always ready to help or answer any questions you might have throughout the course, all of Fitzwilliam Institute’s course experts are top industry professionals with many years of successful experience. Our Diploma in Java Programming (EE) contains the core and vital industry key skillset and, on completion, all of our students are industry-ready. Real life Java Programming Enterprise Edition briefs. Fitzwilliam Institute’s Diploma in Java Programming (EE) offers practical and specific skills that can be applied in real world situations. You will gain exposure to invaluable toolkits and resources and prepare a real life Java Programming Enterprise Edition project brief, which will enable you to improve your work portfolio. This course will help novices become literate in Java programming and help experienced programmers become skilled Java EE developers. Flexible online learning. 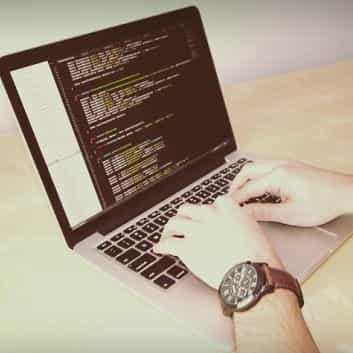 Fitzwilliam Institute’s Diploma in Java Programming EE course can be completed in your own time, from the comfort of your own home, to suit your lifestyle. You will have full access to online resources and subject expert support for one calendar year. However, you can complete the course in as little as 4-6 months, by dedicating 6-8 hours of study per week. Java Programming EE Jobs, Networking and Volunteer Opportunities. Benefiting from many years of industry experience, we are extremely well placed within the industry. Employers are always looking for Fitzwilliam Institute’s students and alumni. Fitzwilliam Institute’s website features a comprehensive jobs and volunteer opportunities section. Introduction to Java Applications, Using the javac command to compile Java applications, Using the java command to run Java applications, Displaying Text with printf, Variables and Introducing Arithmetic Operators, Equality and Relational Operators. Classes, Objects, Methods and Instance Variables, Declaring Class and Methods, Instantiating an Object of a Class, Declaring a Method with a Parameter, Instance Variables, set Methods and get Methods, Primitive Types vs. Reference Types, Initializing Objects with Constructors, Floating-Point Numbers and Type double. if Single-Selection Statement, ifelse Double-Selection Statement, while Repetition Statement, Counter-Controlled Repetition, Sentinel-Controlled Repetition, Nested Control Statements, Compound Assignment Operators, Increment and Decrement Operators, Primitive Types, Essentials of Counter-Controlled Repetition, for Repetition Statement, do Ö while Repetition Statement, switch Multiple-Selection Statement, break and continue Statements, Logical Operators. Static Methods, static Fields and Class Math, Declaring Methods with Multiple Parameters, Notes on Declaring and Using Methods, Method-Call Stack and Activation Records, Argument Promotion and Casting, Java API Packages, Generalized Scaling and Shifting of Random Numbers, Scope of Declarations, Method Overloading. Loading, Displaying and Scaling Images, Animating Images, Image Maps, Loading and Playing Audio Clips, Playing Video and Other Media with Java Media Framework XHTML Editing XHTML, First XHTML Example, XHTML Validation Service, Headings, Linking, Images, Lists, Tables, Forms, Internal Linking, meta Elements. The RSS Utilities Package, Installing the RSS Taglib, Using the RSS taglib, Extracting Data From RSS Feed, Java RSS Parser. Just a note to say thanks for the Java Course, I found it very enjoyable and am delighted to have just received my result. I found your teaching style to be excellent , there are a lot of experts that can't communicate their knowledge but you always got your point across simply and in a way that let us easily understand it. This is a great skill to have. Thank you for the classes. I found them very good and you where very approachable with questions and happy to help.